UPDATE: Please note the venue change, we will be returning to The Skiff. See you there! This talk will see the long-awaited return of Tom Ashworth. 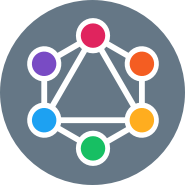 Tom will be introducing GraphQL - what it is, why it was created and why you'd want to use it. He'll then cover how they introduced it at Twitter, from prototype to a production system getting adoption. Tom is a software engineer at Twitter. Before working on GraphQL, he was technical lead on the TweetDeck frontend team.